Cammie Morgan may have a genius IQ and attend the best school in the country, but as she starts the spring semester of her sophomore year there are a lot of things she doesn’t know. Like will her ex-boyfriend even remember she exists? And how much trouble did she really get in last semester? And, most of all, exactly why is her mother acting so strangely? 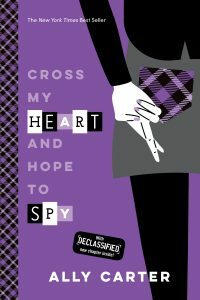 All Cammie wants is a nice, normal semester, but she’s about to learn her greatest lesson yet—that when you go to a school for spies, nothing is ever as it seems.